We are pulling out the Christmas decorations and along with that some of our favorite Christmas books. 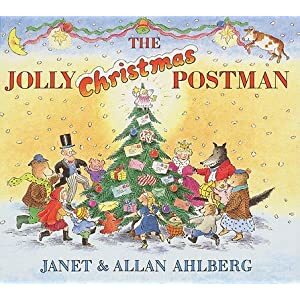 The Jolly Christmas Postman was one of my childhood books that my mom just passed down to my kids. They have loved opening the letters inside and feeling as though they are the "Jolly Postman." Do you have any favorite Christmas books that you like to read?